Happy Thursday! 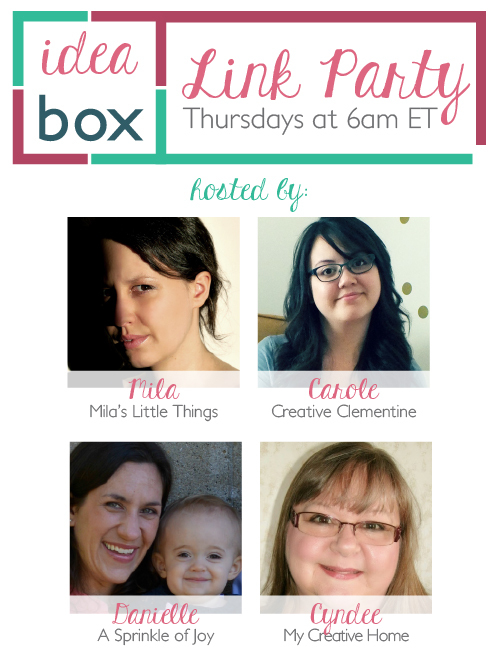 It's time for another fabulous week of Idea Box Link Party! Baby Clemington is a rolling, teething, solid-food-eating machine these days, so I am giving myself a bit of a party break for naps, mopping, and all the coffee. Be sure to hop on over to the other blogs to see if you are featured!